Part of a double switch at Los Angeles' twin Business Journals. We’re ending the week with some West Coast staffing news that is heartening on two different levels. The announcement involves journalists who are, respectively, 54 and 62, and a pair of weekly newspapers that have successfully adapted to the print-digital divide. 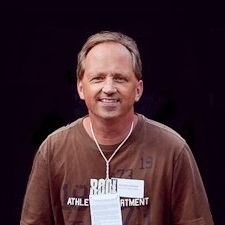 Diamond first joined the Business Journal as assistant managing editor in 2000 upon moving to Los Angeles from New York, where he was a literary agent representing authors such as then-New York Yankees manager Joe Torre, his bench coach Don Zimmer and other non-fiction writers. Following his initial stint at the Business Journal, he became the senior communications deputy to the Los Angeles City Attorney’s Office and then took a mid-career master’s degree at UCLA’s Luskin School of Public Policy. Diamond returned to the Business Journal as managing editor in 2013 before leaving late last year to assume the role of assistant managing editor at The Hollywood Reporter. A graduate of Boston University’s College of Communication, he worked as a business reporter before moving into publishing. 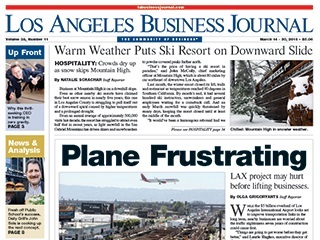 The Los Angeles Business Journal has been well-served by its early adoption of a digital paywall. The other weekly publications operated by parent California Business Journals serve the markets of Orange County and San Diego.